The Taste of the Wasatch event has always featured the finest chefs in Utah who give of their time and talent to help raise funds to feed Utah’s hungry. 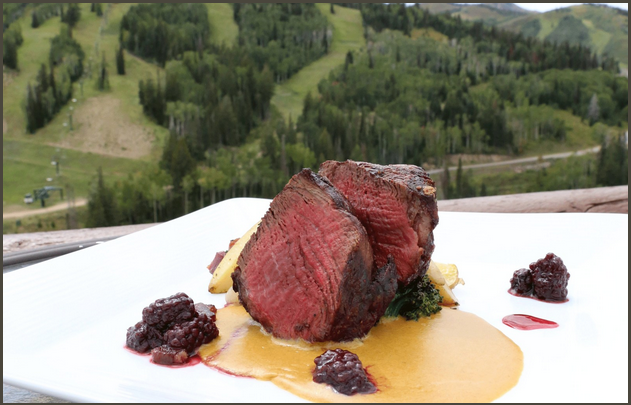 This year, Taste of the Wasatch is offering the opportunity to get even closer to the kitchen action in the days leading up to the annual fundraising event set for Sunday, August 7 at Solitude Mountain Resort in the form of a private chef dinner party auction. 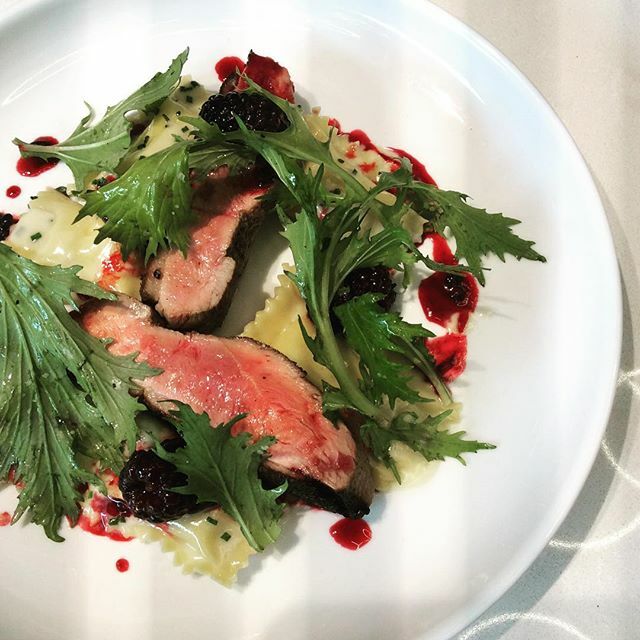 “We’re excited to make available two special wine pairing dinners to those interested in fine dining, captivating cuisine and lots of fun,” explains Taste of the Wasatch event organizer Karen Zabriskie. Here’s your chance to see Stein Eriksen Lodge Executive Chef Zane Holmquist or Stanza Italian Bistro and Wine Bar Executive Chef Phelix Gardner in their element as they prepare multi-course meals for 12 lucky guests. Each meal will host 12 guests along with a custom menu designed by your chosen award-winning chef, wine pairings and education from a wine expert. On Friday, August 5, Zane Holmquist, Executive Chef and Vice President of Food & Beverage at Deer Valley’s 5-star Stein Eriksen Lodge will create a special menu to complement the wines of Honig Vineyards. From Honig Vineyards in Napa Valley, winemaker Kristen Blair will offer delightful and thoughtful wines matched perfectly to the menu featured here: TOW Dinner Wine Menu 2016-1. Dinner begins at 6 p.m. and bidding for this exclusive event starts at $2,500. On Saturday, August 6, Phelix Gardner, Executive Chef at Stanza Italian Bistro and Wine Bar will craft a menu from his 20+ years experience to pair with wines from Skurnik Wines. Skurnik’s wine portfolio searches the globe and wines are selected to represent the highest quality and exhibit balance, finesse and a sense of place. Utah Wine Academy owner and Beverage Director at Main Street Dining Group, Jim Santangelo, will be your guide through this superb multi-course dining experience. Dinner begins at 6 p.m. and bidding for the exclusive event starts at $2,500. These exquisite dinners will offer you and your guests an intimate, one-of-a-kind dining experience—all while contributing to the ultimate goal of fighting hunger in Utah. Each of the winning bidders will also receive four reserved seat tickets to Taste of the Wasatch event on August 7. Your donations support Utahns Against Hunger and 3 Squares, Inc. in delivering education, access and support to fight hunger at its root cause. Funds raised through Taste of the Wasatch support anti-hunger programs including 3 Squares, Inc,’s Chef-Kids cooking classes. 3 Squares, Inc. works with local chefs and food professionals to teach food-insecure households how to find, buy, store and prepare healthy food. Kids in the program, typically age 12 and up, have the opportunity to taste healthy foods they might not have seen before. The impact of the program is significant in breaking the cycle of hunger. For every 15 children who participate in the program, those life skills will touch nearly 50,000 households over five generations. By supporting the auction, your donation will help keep this and other programs such as Utahns Against Hunger’s summer food program, going. Bidding for both dinners runs through midnight on July 31 and the winning bids are, of course, tax deductible. Heather is a writer and restaurant critic for The Salt Lake Tribune as well as SLCLunches.com. She writes about arts, culture and travel for The Utah Review and a variety of other print and online publications. She is the founder of Utah's Ladies Who Lunch groups, a member of the Association of Food Journalists and a proud Great Dane owner.